Klaus Schoenbach (born in 1949) is professor and holds the endowed BBDO Chair of Media Studies at Zeppelin University, Friedrichshafen, Germany, as well as the chair of General Communication Science at the University of Amsterdam, The Netherlands. At Zeppelin University he is also member of the Board of Directors. Schoenbach studied mass communication, sociology and German literature at the University of Mainz, Germany. PhD in 1975 with a thesis about the journalistic norm to separate facts and opinion. Advisor: Elisabeth Noelle-Neumann. 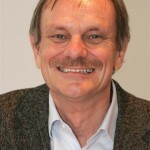 1975-78 director of the content-analysis department of the Mannheim-based Center for Surveys and Methods (ZUMA) of the German National Science Foundation. 1978-83 associate professor, Department of Communication, University of Muenster, Germany. In 1982, „Habilitation“ in Muenster with a thesis on the political effects of newspapers and television. 1983-85 (full) professor for Applied Communication Science at the University of Munich. 1985-98 professor and chair of Journalism and Communication Science at the Hanover University of Music and Drama, Germany. 1990-97 chairman of the Department of Journalism & Communication Research in Hanover. For, in total, more than one year visiting professor at several U.S. universities. In 1998 appointment at the University of Amsterdam. 2000-3 Director of Graduate & Undergraduate Studies in Communication Science and chairman of the Department of Communication Science. In 2005 appointment at Zeppelin University, Friedrichshafen, Germany. 2006-8 Dean of the Faculty for Communication & Cultural Management. Major research and teaching interests: audience and effects of the mass media, media marketing, mass media and elections, persuasive communication, methods of empirical communication research. Consultant for newspapers, for radio and television programming, for the evaluation of PR and advertising. Member of several boards of foundations for research in advertising and strategic communication. Principal reviewer of communication science for the German National Science Foundation and member of the review council of the Dutch National Science Foundation.